As the school year comes to a close, students from Queen Anne, John Hay, and Coe Elementary schools will head into the summer having received a valuable lesson in helping others. 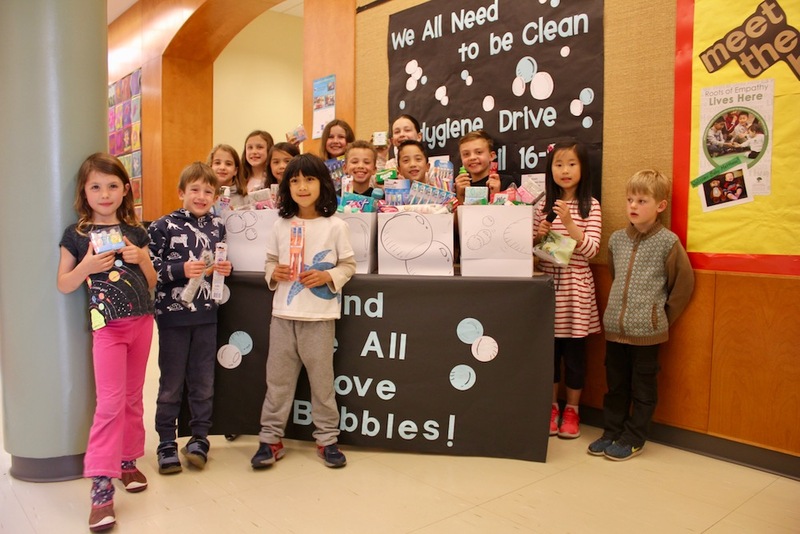 All three schools teamed up to coordinate hygiene drives to benefit the Queen Anne Food Bank, collecting several dozen boxes of soap, toothpaste and toothbrushes, and various other toiletries to be distributed by the nonprofit. Items like deodorant, disposable razors, and hand sanitizer are often among the food bank’s most needed items. For more information on the Queen Anne Food Bank, visit www.qafb.org. To see the food bank’s most needed items, download the “Fill The Bowl” app for iOS and Android.